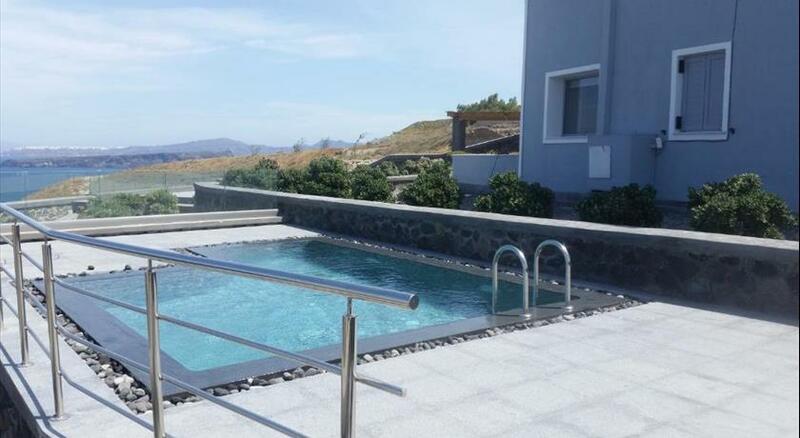 Featuring an outdoor hot tub and magnificent Aegean Sea and village views, Vineyard Villa is set in the heart of Akrotiri , a short walk from the excavations of Archaeological Site of Akrotiri and 500m from the famous Red Beach . The property is 500 metres from White Beach .Free WiFi is offered throughout the property. Spacious and air-conditioned, Vineyard Villa offers a fully equipped kitchen. It also features a living room with a fireplace and dining area. All rooms feature sea views . The decoration combines modern with classic and binds totally with the vineyard. All rooms have sea view and open to a private terrace near an outdoor hot-tub with sun loungers and umbrellas Car hire is available at the property and the area is popular for horse riding. A private Cycladic-style chapel, is found on site. Archaeological Site of Akrotiri is 900 metres from Vineyard Villa, while Red Beach is 1.3 km away. You can engage in various activities, such as snorkelling, diving and canoeing. 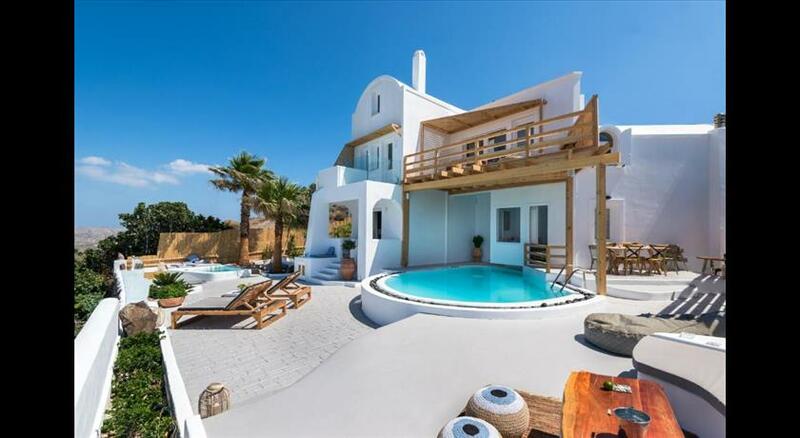 The nearest airport is Santorini (Thira) Airport, 11 km from the property. Free private parking is provided. Please inform Vineyard Villa in advance of your expected arrival time. You can use the Special Requests box when booking, or contact the property directly with the contact details provided in your confirmation. Please note that a security deposit of EUR 200 is required for incidentals and is fully refundable after inspection by the property upon checkout. Please note that the hot tub can be heated upon request and at extra charge.